Professor Christine Hawley of The Bartlett School of Architecture at UCL has been awarded the 2016 RIBA Annie Spink Award for excellence in architectural education. The prestigious biennial prize is awarded to an individual who has made a significant contribution to the advancement of architectural education in a school of architecture anywhere in the world that offers courses validated by the RIBA. Professor Hawley studied at the Architectural Association (AA) and was a partner at Cook and Hawley Architects. In 1993, following an eminent career at the AA and the University of East London, she started working at The Bartlett where she became Professor of Architectural Studies and later became Dean. Professor Hawley said: "I have been lucky enough to work with some of the most creative young students in architecture for the last four decades but the act of teaching, for me, has also been about learning – sometimes they are the teachers and I am the pupil. "As someone who has also been the Head of two Schools of Architecture and the Dean of The Bartlett I have also learnt another important lesson: a creative environment is made only through people. I have collaborated with truly great teachers so this award honours both the students and teachers I have worked with." "Christine is one of the key figures in The Bartlett School of Architecture's 175 year history, who has created a legacy that will continue to influence the school for many years to come. She has been a central figure within international architectural education throughout her career, with an extensive network of former students in leading positions within practice and academia worldwide. Winning the Annie Spink prize is a tremendous achievement and deserved recognition of her extraordinary contribution to architectural education, The Bartlett, UCL and most importantly students' lives". 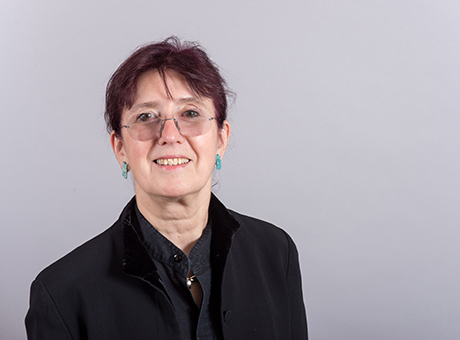 RIBA president Jane Duncan said: "Christine is a dedicated and talented teacher whose enthusiasm has helped inspire generations of young architects. She has long been a champion for excellence in architectural education throughout her career and I am delighted to see her recognised through this award." The award was established by Architect Herbert Spink in 1974 when he bequeathed the Annie Spink Trust Fund in memory of his wife, who died in 1938. Past recipients have included Nigel Coates, Peter Cook, Dalibor Vesely and Florian Beigel.